How Would You Know if You Suffer from Sleep Apnea? How Would You Know and What Can You Do? 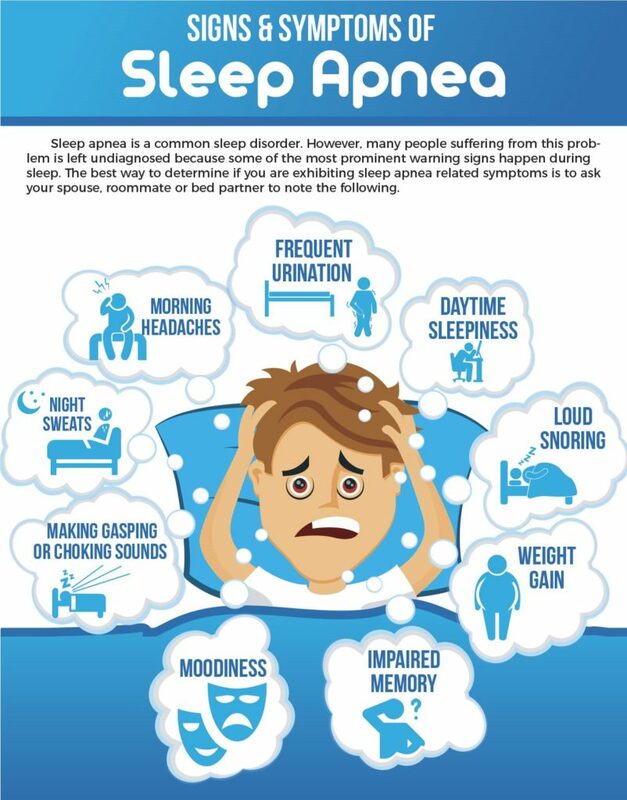 Sleep apnea affects many people. It is a condition marked by the continual cessation of breathing while sleeping. This interruption in a person’s breathing is often caused by the obstruction of the upper airway, known as obstructive sleep apnea. It is also caused by central sleep apnea, which is the brain’s inability to signal muscles to continue breathing while you rest. Do you suffer from sleep apnea? Sleep apnea is a severe sleeping disorder that if left ignored, can result in sudden cardiac death. Sleep is crucial to your well being, and you will notice adverse impacts to your health if sleep apnea continues. If you believe you are dealing with this disorder and wish to discover more information about it, then keep reading to learn symptoms and treatments. 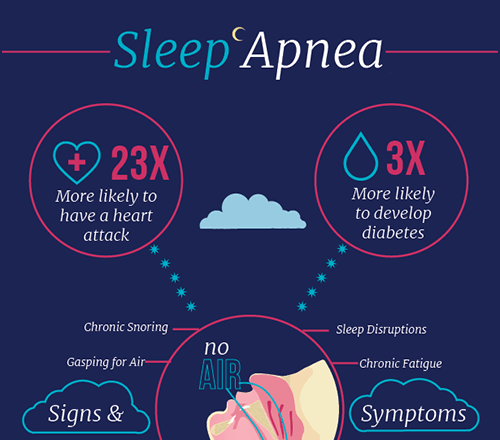 What Are the Symptoms and Health Concerns of Sleep Apnea? As you rest, your body becomes less tense because your muscles relax. Sleep is the time when your body heals and repairs itself to prepare you for the following day. However, sleeping for some can be problematic especially for those with sleep apnea, as it limits their ability to rest and restore their bodies properly. If these symptoms are left dismissed, and sleep apnea persists, heart failure, heart attack, high blood pressure, stroke, death, and other serious health issues can result. What Can I Do to Cure Sleep Apnea? There are treatments available to combat the difficulties of sleep apnea. One of the most common forms is the CPAP mask. A Continuous Positive Airway Pressure machine is used to deliver continuous air pressure to the throat, eliminating the blockage of breath that results when the throat collapses. This apparatus has proven to be beneficial for many sufferers of sleep apnea. 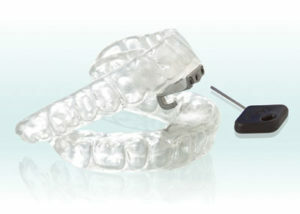 An alternative to the CPAP mask is the use of a mouth guard, which closely resembles a sports mouth guard. A Mandibular Advancement Device, or a MAD mouthguard, is designed to realign the jaw. For those with obstructive sleep apnea, this device aids in preventing any obstruction of airflow. It provides better sleep and limits symptoms of loud snoring, wheezing, cessation of breathing, and other factors that impede a successful night’s rest. At GPS Dental, our professionals are fully trained and equipped to help patients suffering from sleep apnea. Dr. Gary Skrobanek is a member of the San Antonio District Dental Society, Texas Dental Association, and American Dental Association. Dr. Skrobanek also has a membership with the American Academy of Dental Sleep Medicine, a society that studies dental therapies for sleep disturbances. With this level of expertise in sleep disorders, GPS Dental is prepared to treat all cases of sleep apnea. If you’d like to book an appointment or gain more insight into this condition, contact us. Read more about Gary P. Skrobanek, DDS. Read more sleep apnea blogs by GPS Dental.